Innovative Electric can install Lutron wallbox dimmers have a built-in energy saving feature that takes 5%-7% off the high-end trim of the lighting. What else can save energy, reduce landfill waste with no perceived negatives, pays for itself and has a net positive affect on lifestyle and comfort? How else does lighting control save energy? • Control systems let you use the light you need, when you need it. • Control systems create energy bill reduction through automated control of HVAC, pool controls and shading as well as lighting. • Take advantage of daylight- why use electricity when you don't have to? 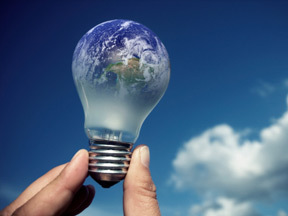 For more information on going green with Lutron, click here. 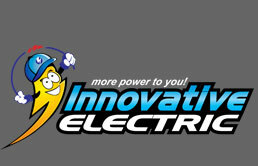 Call Innovative Electric to learn how we can help you make your home more green!